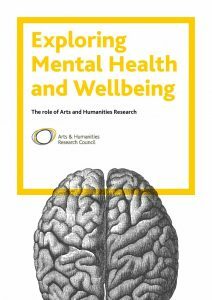 A new report, Exploring Mental Health and Wellbeing, published by the Arts and Humanities Research Council highlights the important role that arts and humanities based research can play in helping to address complex issues around mental health. The report brings to life a wealth of case studies that are contributing to the mental health debate. 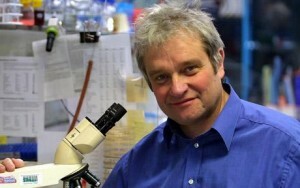 These include examining the work of academics at the University of Cambridge who are pioneering an innovative design of a personalised fragrance dispenser to help manage anxiety to a project being managed by the University of Essex to educate policy-makers on the issues surrounding impaired decision-making capacity. Research around mental health is focused around developing a cross-disciplinary approach – and arts and humanities scholars have a key role to play. The AHRC has funded research in many different aspects of mental health research in recent years, with an investment of over £10m in seventy-six projects since 2010. The new cross-disciplinary mental health research agenda sees the UK’s seven research councils joining forces to collaborate on mental health research. Published in August this year, the agenda paves the way for cross-council collaboration on mental health, highlighting the importance of including the arts and humanities in this area of research. Having lived for 25 years in Scotland I am happy to have made a small contribution to this import report. 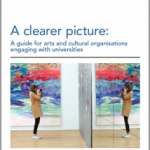 The University Alliance and the Arts Council England have published a guide for cultural institutions that want to work with universities along with a report on universities’ role in cultural leadership. The guide encourages greater collaboration between cultural organisations and universities. It supports small and medium sized arts and cultural organisations on partnering with universities. Matt Robinson has written a blog about the guide and its aims. The report is a collection of case studies highlighting existing partnerships and the ways in which universities are acting as custodians and champions of the arts. 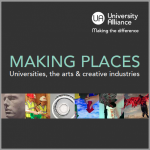 You can find those case studies here – Making Places: universities, the arts and creative industries. HEFCE and Research Councils UK have published a review of the interdisciplinary research landscape in the UK, supported by a report examining 10 institutional case studies in English universities. 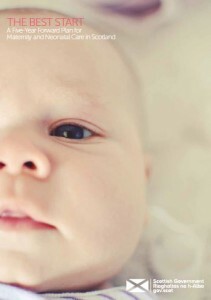 The studies complement work recently published by the British Academy, the Global Research Council and HEFCE with the Medical Research Council. The reports will form part of the discussion at the conference: ‘Interdisciplinarity: Policy and Practice’ on Thursday 8 December 2016, co-hosted by HEFCE, the British Academy and Research Councils UK. The reports provide an overview of the current interdisciplinary research landscape in the UK, drawing on a survey of over 2,000 participants, workshops, interviews and case studies. The findings reflect researcher, strategic leader and funder perspectives, highlighting interdisciplinary research (IDR) as a crucial part of the UK research landscape. A desire to achieve broader impact, the challenges associated with peer review and evaluation, the importance of institutional support and the value of flexible funds featured as common themes. The case studies identified good practice in a range of institutions seeking to grow, sustain and embed interdisciplinary practice in their research cultures. The importance of balancing top-down and bottom-up approaches, the role of flexible funding, and institutional infrastructure that prioritises high-quality research were identified as some potentially beneficial features in successful institutional IDR environments. Submitted outputs declared as interdisciplinary did as well as single discipline outputs in the 2014 Research Excellence Framework (REF). This is despite the structure of the REF being perceived as a barrier by some researchers. The measurement of impact in research assessment is seen by some as a showcase for interdisciplinary activity that has helped IDR to gain traction in universities. Universities can and do use many models to support IDR. What works is contextual, but there are lessons to be learned from existing good practice. IDR often requires more time for initial teams to develop and for projects to result in outcomes. The evaluation of interdisciplinary research outputs, and their impact, were highlighted by Lord Stern’s Independent Review of the Research Excellence Framework as areas for further development. Subject to the views of our respective Ministers, the UK higher education funding bodies intend to take this forward in a consultation, to be launched before the end of 2016. The British Academy has today published a report examining the opportunities and barriers to interdisciplinarity, from the point of view of all research career stages and institutional levels. 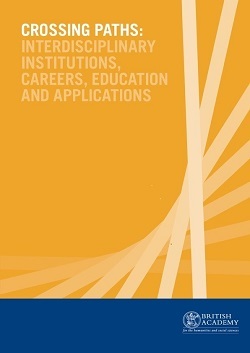 Crossing paths: interdisciplinary institutions, careers, education and applications considers support for interdisciplinary research (IDR) across the UK’s research and higher education sector, with a focus on university structures, funding, and evaluation. Case studies on interdisciplinarity at the undergraduate level and on how interdisciplinary research can influence public policy are also provided. Finding broad and deep support for IDR, Crossing paths makes recommendations to allow researchers, including those early in their career, to pursue high quality IDR alongside, or as part of, cultivating an academic home, a secure base from which to carry out IDR. The report is based on a call for evidence as well as roundtable discussions and visits to interdisciplinary research centres at UK universities. 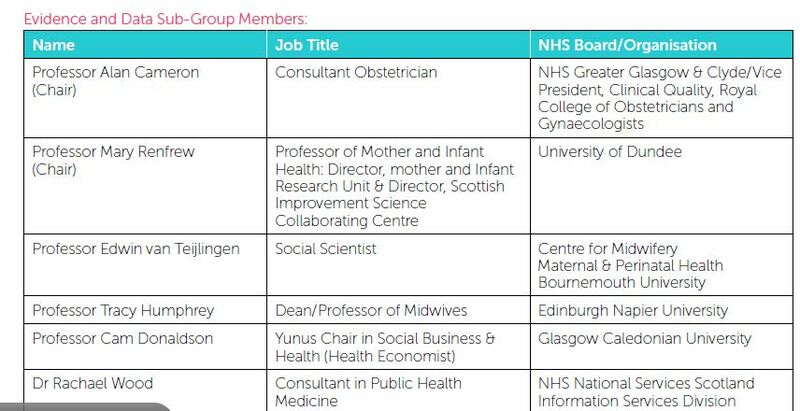 Following on from Julie Northam’s synopsis of the Nurse Review of the Research Councils posted last week, you may be interested to see the responses from the many interested parties, such as science lobby groups and learned societies. Association of Research Managers and Administrators statement. The House of Commons Science and Technology Committee has published their Science Budget report today, following a recent review. A summary of the contents can be found below. The United Kingdom is a science superpower. In terms of both quality and productivity, our research base punches above its weight’, setting a worldwide benchmark for excellence. Government spending on the science base has been protected since 2010, with a flat-cash- ring-fenced budget for annual ‘resource’ spending distributed by the research councils, the Higher Education Funding Council and others. Annual ‘capital’ budgets have varied. The Government has already announced that capital spending within the science budget will be protected — in real terms — up to the end of 2021. The Government’s Spending Review on 25 November will determine the science — and innovation — budget allocations for the rest of this Parliament. The UK has fallen behind its competitors in terms of total R&D investment and this will put UK competitiveness, productivity and high-value jobs at risk if it is not reversed. The Government should produce a long term ‘roadmap’ for increasing public and private sector science R&D investment in the UK to 3% of GDP — the EU target. This would send an important signal about the long term stability and sustainability of our science and innovation ecosystem, supercharging private sector R&D investment from industry, charities and overseas investors alike. A more robust system is needed to integrate capital and resource funding allocations. The Government should urgently review existing capital allocations to ensure sufficient resource is in place to fully ‘sweat our assets’. Sufficient resource funding will only materialise, however, with an upward trajectory in the resource budget. The Spending Review is being conducted under present accounting protocols, dealing with capital and resource budgets for science separately. ‘ESA-10’ accounting rules will in future count resource expenditure on R&D as capital, reflecting the fact that all expenditure on science research is an investment — an asset — in future economic capacity. The Government in the Spending Review should make it clear that this rules revision will not be used as a means to change the underlying funding settlement. The ‘dual support’ system has produced a world class and highly efficient system for scientific research. Any significant changes to this system, including the balance of funding between research councils and university funding councils, would require a clear justification, which has yet to emerge. The Government should make clear its continued commitment to the dual support system, and the previous Government’s 2010 iteration of the Haldane Principle in the forthcoming Spending Review. A significant element of research funding should continue to be channelled though both the research councils and the higher education funding authorities. Clear justification will also be needed for any significant change in funding allocations between the research councils, and we caution against a radical reorganisation which could potentially harm the research programme. Any expansion of the innovation catapult network should not come at the expense of other innovation priorities. The Government should focus on consolidating the existing catapults, to ensure that all will have the necessary operating resource and business strategies to operate at peak capacity. To show a clear commitment to innovation more generally, the Government should ring-fence Innovate UK’s budget. The Government should also retain the current system of innovation grants — rather than loans — as a key policy tool, alongside R&D tax credits, for de-risking innovation investment. The Spending Review will have a profound impact on our science base and our future prosperity. We have to get it right. We have a duty to take care that our spending and structural decisions in this area do more than merely maintain the status quo. If we get our spending priorities, our policies, regulatory frameworks or our immigration policy wrong, we will be on the wrong side of history. The Government must ensure that the UK remains a scientific superpower. The Association of Research Managers and Administrators (ARMA) submitted evidence to this report, which can be found here. A new report, published today, addresses the challenge that cultural institutes face when trying to capture the full value of their work to individuals in society. Commissioned by the AHRC’s Cultural Value Project and using two of the UK premier cultural institutions, the Natural History Museum (NHM) and Tate Liverpool (TL), the report explores alternative approaches and practical evaluation techniques to measuring the value of culture. The report addresses an evidence gap as far as cultural policy is concerned and has the potential to bring quantitative economic techniques to policy debates which, say the authors of the report, have been “fragmented and curiously ungrounded in empirical evidence”. View the AHRC press release and link to the report here and find out more. The report on an independent evaluation of the European Institute of Innovation and Technology has now been published. In addition to formulating the achievements of the EIT so far, the Report highlights some of the main challenges the EIT should address in the next few years. To read the full report, click here.